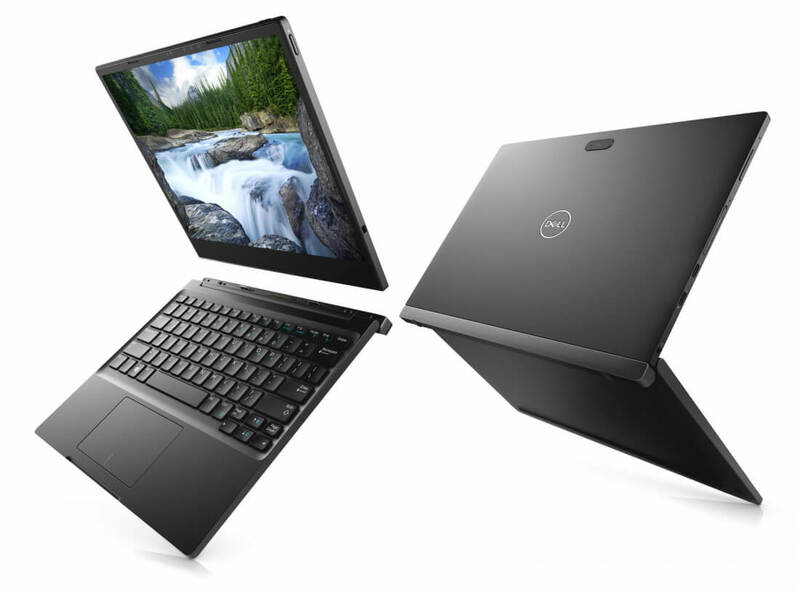 Dell has launched its latest 2-in-1 notebooks, the Latitude 7285 and 5289. The 7285 offers versatility by combining a tablet with detachable keyboard. The ability to shed the weight of a keyboard is an advantage over the Latitude 5289, which is a swivel-screen convertible. First announced at CES 2017 in January, the Latitude 7285 is the first 2-in-1 to offer wireless charging. Dell partnered with WiTricity to integrate wireless charging technology into the portable. A charging mat utilizes magnetic resonance to charge the tablet's side battery as well as the keyboard. The base model of the 7285 starts at $1,200, which includes an Intel Core i5-7Y54 processor, a 128 GB solid state drive, and 8 GB of RAM. The charging mat sells separately for $200 and the wireless charging keyboard will run another $380. Dell also sells them bundled for $550. You could also opt for the less expensive Productivity Keyboard for $250, but it does not have the wireless charging technology. The Latitude 5289 is more affordable if you don't mind lugging around the extra weight. It weighs about three pounds and the base model has an i3-7100U processor with 4GB of RAM and 128 GB of storage. You can pick it up from Dell for about $900. Both models' specs are upgradable if you are ready to pay the extra cost, but I think 2-in-1 computers, in general, are overpriced. I also find it somewhat misleading that Dell calls the Latitude 7285 a 2-in-1 when it doesn’t come with at least the keyboard, but Microsoft has done the same thing with its Surface Pro. Microsoft sells the Surface keyboard separately for $160. Coupled with the tablet, you’ll be paying about $1,460 for a comparable Surface Pro. This price is in the same ballpark as the Latitude 7285 as long as you aren't looking for wireless charging capability.